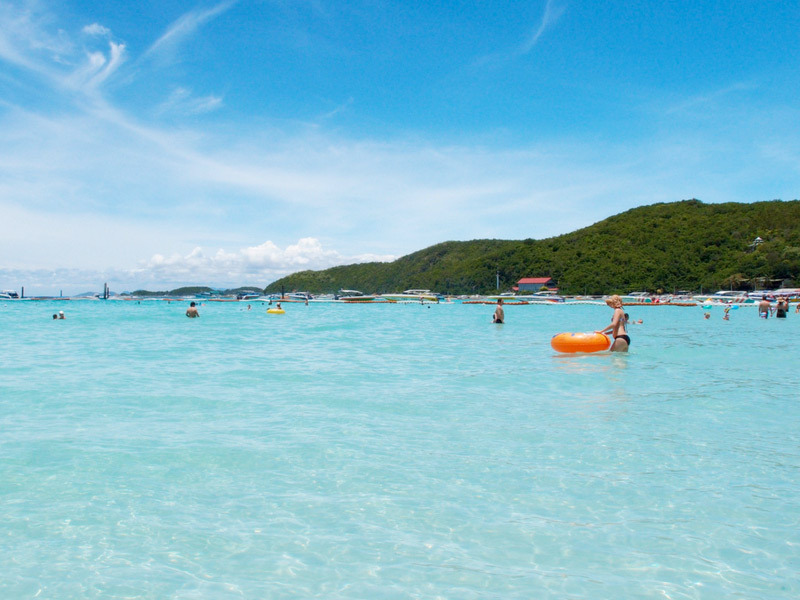 Pattaya's most visited island Koh Larn is for the best part a beautiful island, there are two villages, Ban Koh Larn and Ban Krok Makhan still with local charm and friendly inhabitants of around 500 which increases to 5000 during the touristic high season. 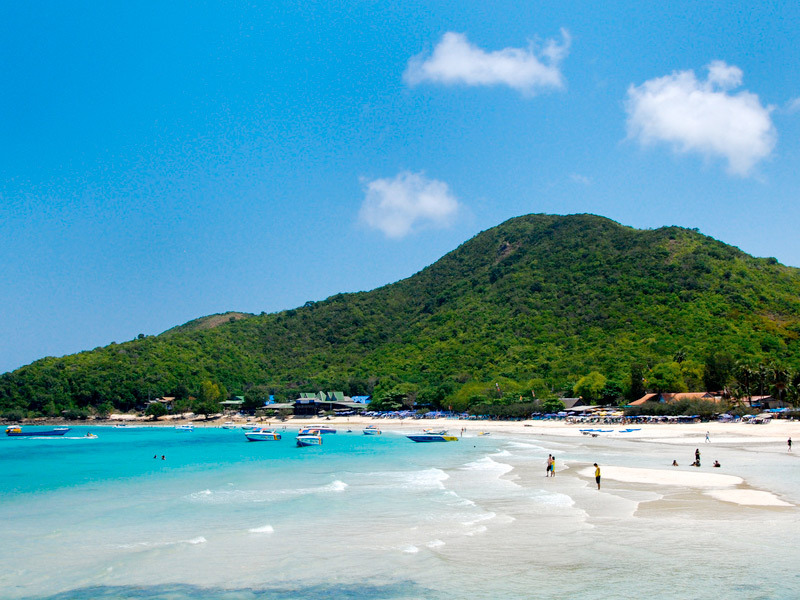 Koh Larn's most visited beach is Tawaen. There are many local souvenir stores and sea food restaurants lining its entire length. There are many other beaches on this island all of which are sandy and clean. In our opinion Koh Larn is an interesting stop off but not the highlight of our tour, we at Pattaya Yacht Charters do the very best to provide you with unspoiled unvisited beauty. 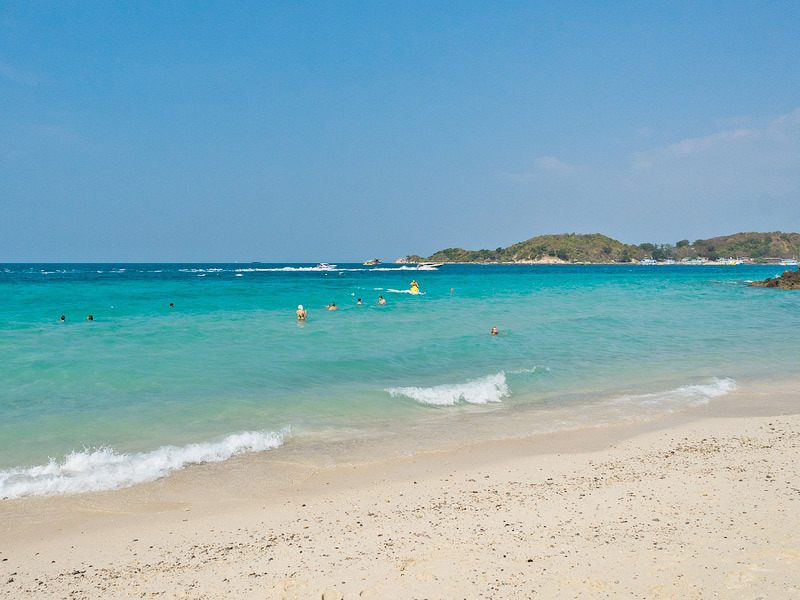 The downside of Koh Larn is that the beaches can become very crowded. This is why we at Pattaya Yacht Charters like to specialize in Private Charters to secluded, remote Islands in stunning settings. It really is well worth going the extra distance to such places for a piece of your own paradise!